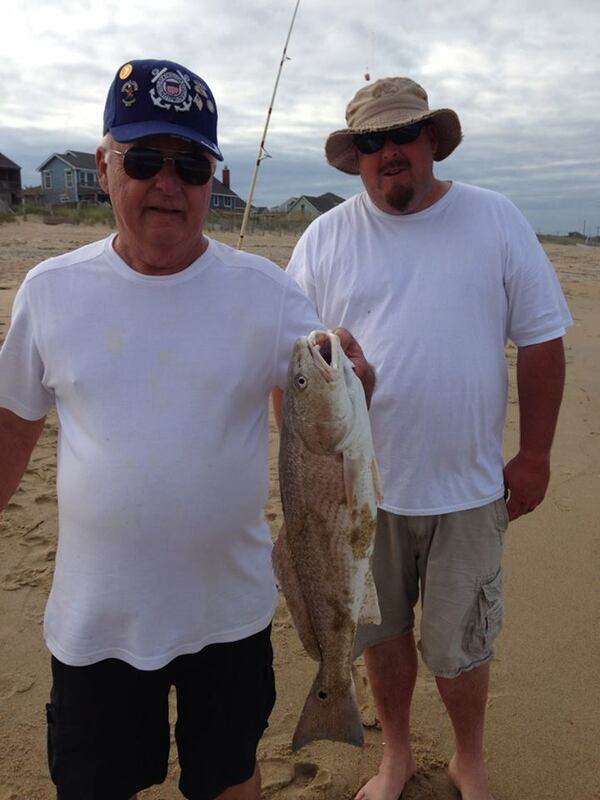 Outer Banks surf fishing is perhaps our area’s most popular pastime. While you can buy a fancy rig, an inexpensive ultra light rod and bottom rig tackle with a 1 or 2 oz weight will do the job nicely, making this activity inexpensive and one the entire family can enjoy. Children under the age of sixteen can fish without a license; however, as of January 1, 2007 everyone over the age of sixteen is required to purchase a NC Fishing License before throwing your line out whether you’re fishing in the ocean, or in the sound. You can purchase your license online at the NC Wildlife Commission Resources Commission’s website or at any of the fishing piers with a valid driver’s license. One word of caution: familiarize yourself with the species size and bag limits before you venture out. You can find this information on the Division of Marine Fisheries website. Hefty fines will be assessed on those fishermen found to be in violation, so really, it’s important that you know what and how many and what size of fish you can keep…because not knowing is no excuse, and can ruin an otherwise perfect vacation faster than you can say ‘Red Snapper’. Fish when the fish are most likely to bite. Fish feed in the early mornings and late afternoons. They also feed at the peak of high and low tides. The best days will be when high tide peaks in the early morning. Fish where the fish are most likely to be. The best fishing will be just past the surf break. Casting further out will not improve your chances, so cast just beyond the break, as many bottom feeding fish prefer this location. Also, look at the wave line. Notice where the wave does NOT break. That indicates an area that is deeper, a ‘hole’ if you will. 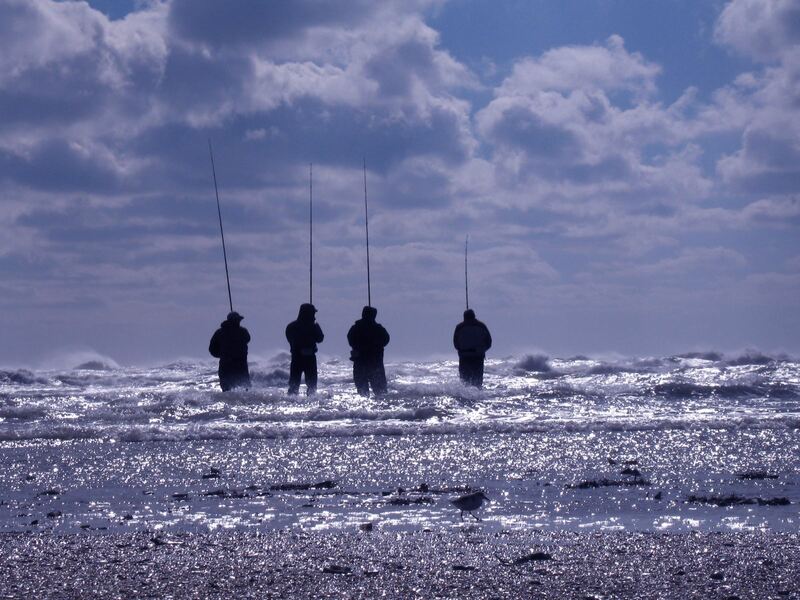 Many fish will come in on the high tide and feed in the holes, which is a perfect place for you to cast and catch your dinner. Fish what the fish like to eat. Granted, this is easier said than done as conditions frequently change. However, the go-to bait for Outer Banks surf fishermen is the bloodworm. Bloodworms are not inexpensive, but you can cut one worm into many pieces and catch a lot of fish with one worm. Fish how the fish like to catch their meal. In other words, don’t cast out and leave your line out for hours. Fish look for bait that appears to be struggling. If you don’t get a strike after a couple of minutes, slowly (read that: SLOWLY) reel your line in. You will often catch more fish while reeling the line in, particularly right at the surf break, than you will from just letting the bait sit in your original casting spot. ​​Before you know it, just like Bobby and Jay below, you'll have a tight line, and you'll know what's for dinner tonight.